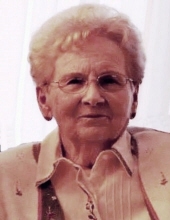 Dorothy Lee Fly, age 88, of Aurora, Missouri, passed away at 1:21 a.m. on Tuesday, April 2, 2019, at the Ozarks Methodist Manor in Marionville, Missouri. She was born July 5, 1930, in Aurora, Missouri, the daughter of the late Charles Lee and Sybil Elizabeth (Moore) Murphy. Dorothy was a 1948 graduate of Aurora High School and was the Business Office Manager for the Aurora Community Hospital. She was a member of the Aurora United Methodist Church. On September 22, 1948, she married William R. Fly in Eureka Springs, Arkansas. Dorothy is survived by her husband of 70 years, Bill; one son, Mark William Fly and his wife, Pam, of Broken Arrow, Oklahoma; two daughters, Kristie Lee Gallion and her husband, Jim, of Springfield, Missouri and Jan Terveen and her husband, Lester, of Aurora; one brother, Steve Cottingham, of Springfield; five grandchildren, Adele O’Dell, Matt Gallion, Katie and Jeremy Fly and Chelsea Thomas. A visitation will be held from 10:00-11:00 a.m. on Thursday, April 4, 2019, at the Crafton-Cantrell Funeral Home in Aurora with a graveside service to follow at 11:30 a.m. at the Maple Park Cemetery in Aurora. In lieu of flowers, memorial donations may be made payable to the Humane Society of Southwest Missouri, in care of the funeral home. Online condolences maybe shared at this website. To send flowers or a remembrance gift to the family of Dorothy Lee Fly, please visit our Tribute Store. "Email Address" would like to share the life celebration of Dorothy Lee Fly. Click on the "link" to go to share a favorite memory or leave a condolence message for the family.